Free of artificial colours, perfumes or parabens, Maximum with 19 herbs is a natural remedy that can be applied topically every day over a long period of time. 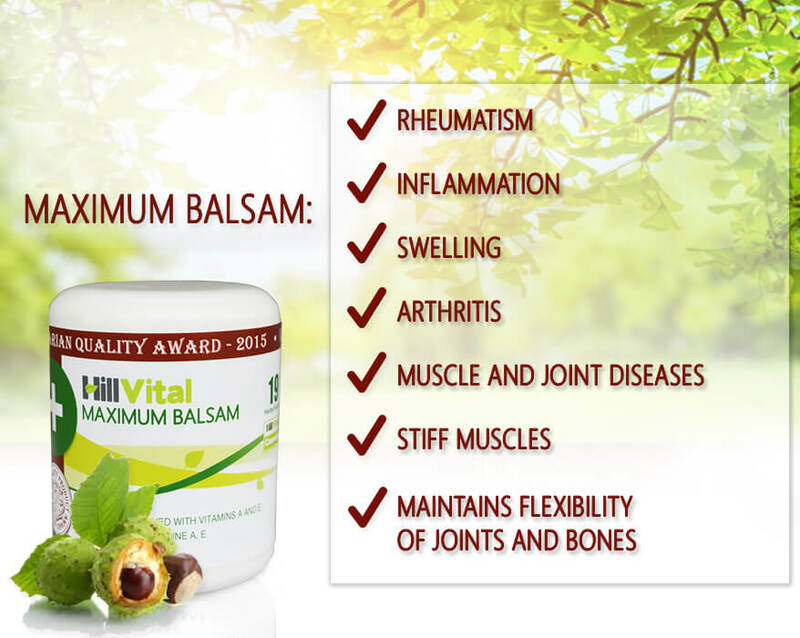 Use Maximum to get relief from pain caused by rheumatism, arthrodesis, osteoporosis, and arthritis. Aqua, Isopropyl Myristate, Polyglyceryl-3 Stearate / Citrate, Glycerine, Aesculus Hippocastanum Ext., Aloe Vera Gel, Cetyl Alcohol, Calendula Officinalis Oil, Benzyl Alcohol, Pinus Sylvestris Extract, Menthol, Camphor, Xanthan Gum, Extract, Rosmarinus Officinalis Oil, Jnipuerus Communis Oil, Thymus Vulgaris Oil, Eucalyptus Globulus Oil, Curcuma Rhizoma, Retinyl Acetate, Tocopheryl Acetate, Symphytum Officinale Radix, PEG-40 Hydrogenated Castor Oil Beta Carotin Potentilla Anserina Juglandus Folium Citric Acid, Lavandula Officinalis Oil. Apply 2-3 times a day or as needed. Massage until complete absorption. Our natural formula Maximum Cream helps relieve pain caused by rheumatism, arthritis, arthrodesis, and osteoporosis. Relief from pain caused by rheumatism, arthrodesis, osteoporosis, and arthritis. Helps maintain the elasticity of joints and bones. Cooling effects for swollen and overheated joints. Helps repair and regenerate damaged tissues. Helps articulate the joints when experiencing morning stiffness. Unique composition of 19 herbs and vitamins helps regenerate damaged cartilage, ease pain and contribute to one’s quality of life. Suitable combination of herbs helps relieve pain, inflammation, swelling. 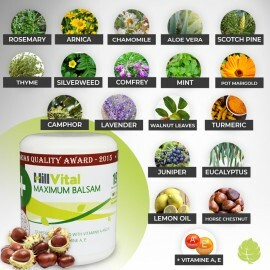 Maximum balsam contains a high amount of Common Comfrey. This herb has a wide range of benefits. It acts as an anti-inflammatory, stifles pain, supports healing. It is useful for treating joint pain, back pain, rheumatism, inflammation and other health problems. 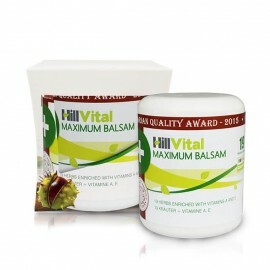 Maximum cream contains vitamins A and E that improve absorption and effectiveness of the herbal extracts. Maximum doesn’t contain parabens, artificial colourants or harmful chemicals. Our cream doesn’t burden the body with side effects or toxic substances. Damp and cold environment worsens health problems. We recommend increasing your vitamin intake for joint and cartilage regeneration. Our glucosamine, MSM, chondroitin can help support healthy cartilage structure. Herbs can provide substantial relief, especially nettle or willow bark. 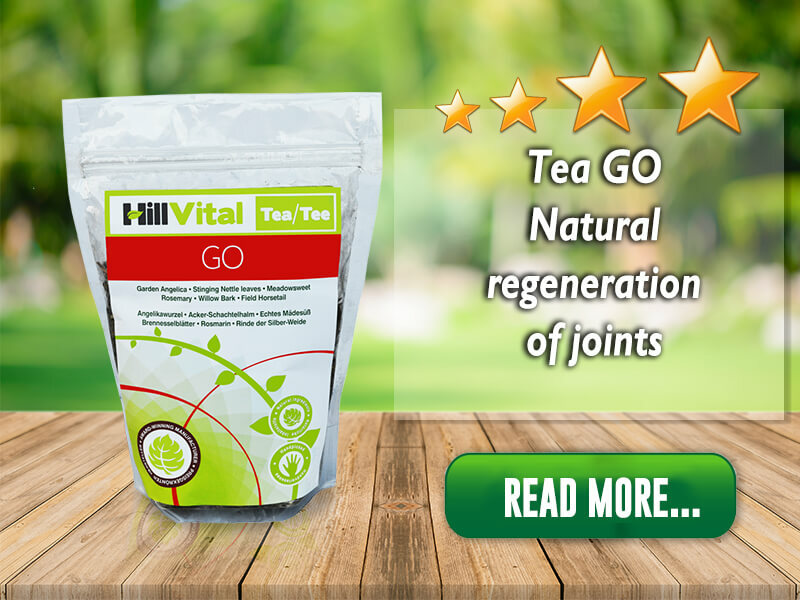 Our herbal blend Tea Go contains the finest herbs for treating rheumatism, joint pain, and arthrosis. Our complex vitamin pack Vitago can also bring you relief. Turmeric - relieves pain and inflammation of bones and joints. Aloe Vera - works as an anti-inflammatory , relieves pain and supports healing. Arnica montana - has a high content of disinfectants , is used to heal injuries and bruised wounds. Juniper - helps to treat rheumatism, arthritis, osteoarthritis. Scotch Pine - supports treatment of rheumatism, arthritis, osteoarthritis. Thyme - alleviates pain of muscles and joints. Chamomile - has antibacterial, emollient, and anti-inflammatory effects. Pot Marigold - has disinfectant properties, works as an anti-inflammatory. Mint - relieves joint stiffness and pain. Rosemary - has disinfection properties, helps for relieve pain, stiffness and tension in joints. Horse Chestnut - treats rheumatism, alleviates muscle and joint pain. Lavender - eliminates nerve pain naturally, inflammation of nerves, muscle and joint stiffness, stimulates the nervous system. Walnut Leaves - heals deep wounds, swelling, bone disease. Lemon oil - relieves joint pain in the hands and feet, including the finger joints, ankles, or wrists. Camphor - supports healing of gout, rheumatoid arthritis and muscle inflammation. Silverweed - relieves pain and loosening of the spasms. Comfrey - helps to treat rheumatism, joint swelling, back pain, muscle and tendon inflammation. - Other active ingredients: Vitamin A, Vitamin E.
Aqua, Isopropyl Myristate, Polyglyceryl-3 Stearate / Citrate, Glycerine, Aesculus Hippocastanum Ext., Aloe Vera Gel, Cetyl Alcohol, Calendula Officinalis Oil, Benzyl Alcohol, Pinus Sylvestris Extract, Menthol, Camphor, Xanthan Gum, Extract, Rosmarinus Officinalis Oil, Juniperus Communis Oil, Thymus Vulgaris Oil, Eucalyptus Globulus Oil, Curcuma Rhizoma, Retinyl Acetate, Tocopheryl Acetate, Symphytum Officinale Radix, PEG-40 Hydrogenated Castor Oil Beta Carotin Potentilla Anserina Juglandus Folium Citric Acid, Lavandula Officinalis Oil. "Today the balsam has been delivered as promised. If it does help, I will be the first to scream it across the internet!" 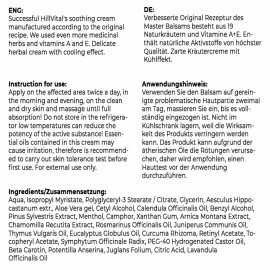 The customer uses: Maximum cream, Ava C.
"I have to admit at first I was a bit doubtful about the balsam as there are hundreds of products to choose from on the internet but maximum balsam took me by surprise, and the pain on my knees has disappeared only a few days after using it. Thank you for making my life better!" The customer uses: Maximum cream, Hayley B. "I would like to thank you for the recommendation of your MAXIMUM BALSAM, which I have been using for about three weeks. I finished the cream and now, the pain is back. I am going to order immediately two more packages. I cannot wait for my next order of maximum cream to arrive!" 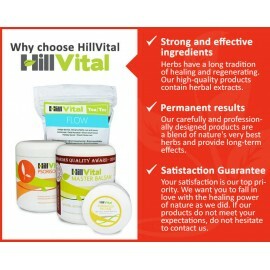 The customer uses: Maximum cream, Sara W.
"I am very happy to recommend HillVital MAXIMUM ointment to all who have joint pain for help and human approach thank you sincerely." The customer uses: Maximum cream, Leah V.
Master cream helps stifle joint and back pain. Thanks to its unique composition, our cream contributes to alleviating pain and inflammation and helps promote mobility. It’s important to also fight intense pain from within. We recommend Glukosamine, MSM, Chondroitin, which helps stimulate proper functioning of the musculoskeletal system. After taking our vitamins, take a sip of our Tea GO. This tea helps support healthy mobility when suffering from rheumatism, joint pain, and osteoporosis. 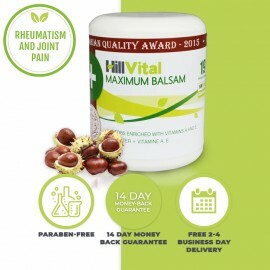 While treating severe and persistent illnesses, inflammation or repeated swelling, our vitamin pack Vitago helps promote joint regeneration and provide essential nutrition. Juniper – helps to treat rheumatism, arthritis, osteoarthritis. Scotch Pine – supports treatment of rheumatism, arthritis, osteoarthritis. Eucalyptus - powerful anti-inflammatory . Thyme – alleviates pain of muscles and joints. Rosemary – has disinfection properties, helps for relieve pain, stiffness and tension in joints. 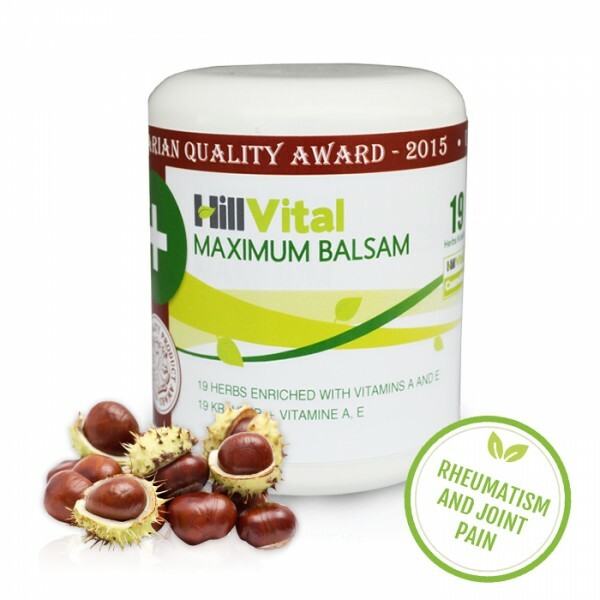 Horse Chestnut – treats rheumatism, alleviates muscle and joint pain. 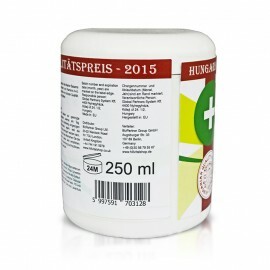 MASTER CREAM CONTAINS A UNIQUE COMBINATION OF 12 HERBS FOR BACK PAIN Based on years of experien..